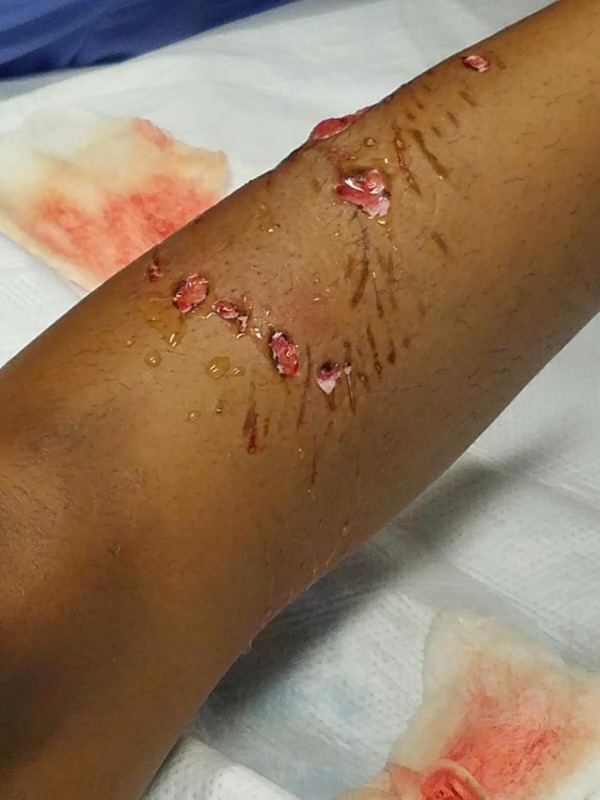 Dogs Bite Decatur Al: TACOMA WA - A "FAMILY" PIT BULL ATTACKED A YOUNG WOMAN WHO WAS BABYSITTING FOR A FRIEND - SHE SUFFERED 30-40 BITES OVER HER ENTIRE BODY! 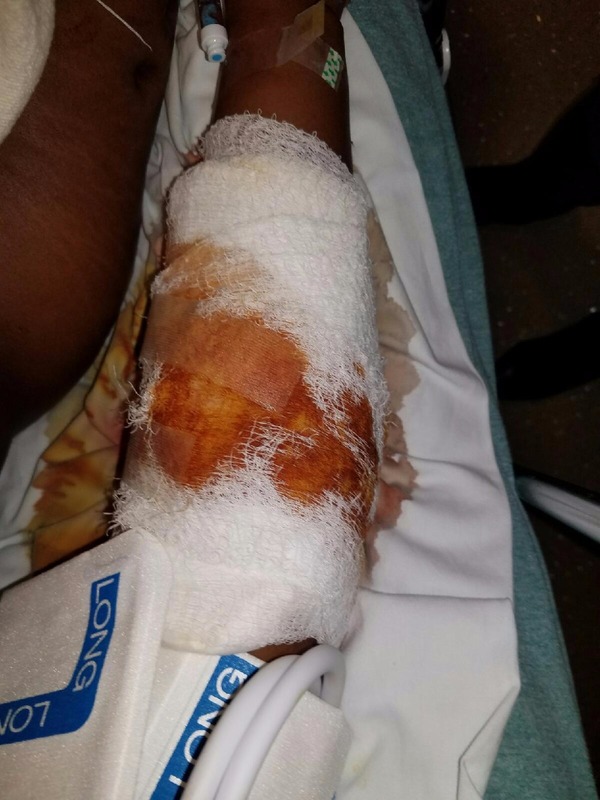 TACOMA WA - A "FAMILY" PIT BULL ATTACKED A YOUNG WOMAN WHO WAS BABYSITTING FOR A FRIEND - SHE SUFFERED 30-40 BITES OVER HER ENTIRE BODY! They say that bad things always seem to happen to good people, and I’m beginning to think that this is very true. 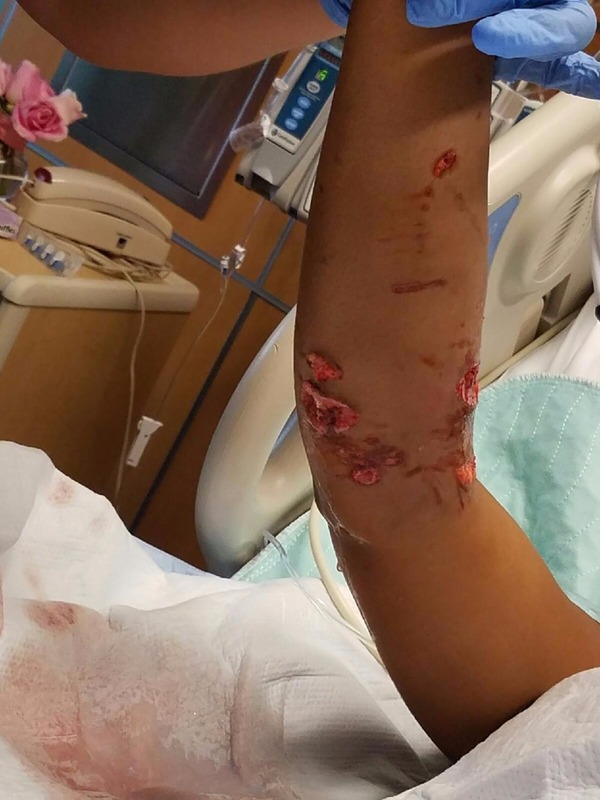 My niece, Felicia Renee Hambrick a recent graduate from Pacific Lutheran University located in Parkland, Washington was viciously attacked this past weekend while babysitting her best friend’s 3 kids. 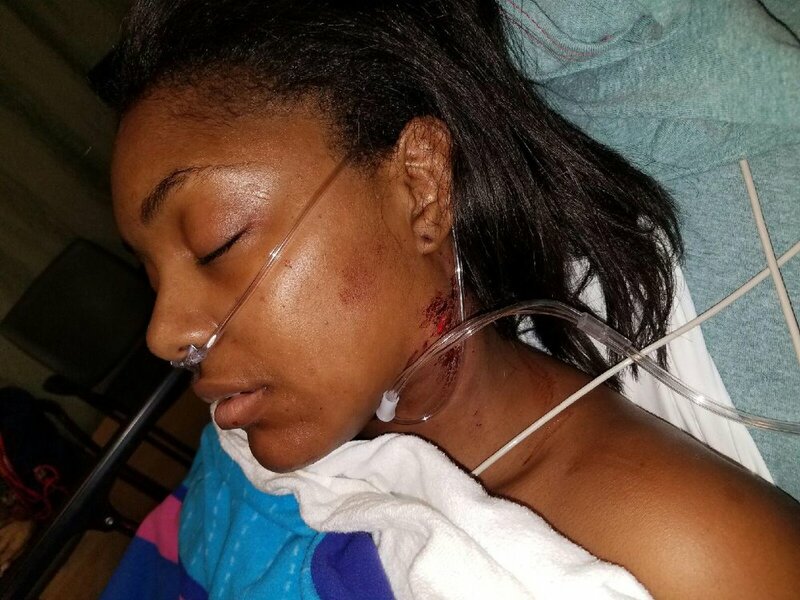 This brave beautiful young lady who stands 4’11 and weighs 115lbs sacrificed her body without hesitating to turn on her fight-to-flight adrenaline just to shield the infant from the Pit bull’s unforeseen attack. Felicia was not a stranger to the dog, nor was she taunting the dog. In fact, the dog was in another room with the door closed until somehow the door got opened and the dog escaped. The dog ran directly towards Felicia and the baby. Felicia immediately sensed that the dog was after her, and not the baby, but her main concern was that the baby would also be injured as she was holding her. Before she could escape out of the dog’s way, she instantly sheltered her body around the baby by turning her back and securing the baby using her arms to protect the infant from the dog’s brutal attack. While Felicia desperately tried fending off the dog – the dog aggressively continued biting her arms, thighs, calf, behind her knee fold (right where the knee bends), her stomach, and her neck (some of the pics are shown below). 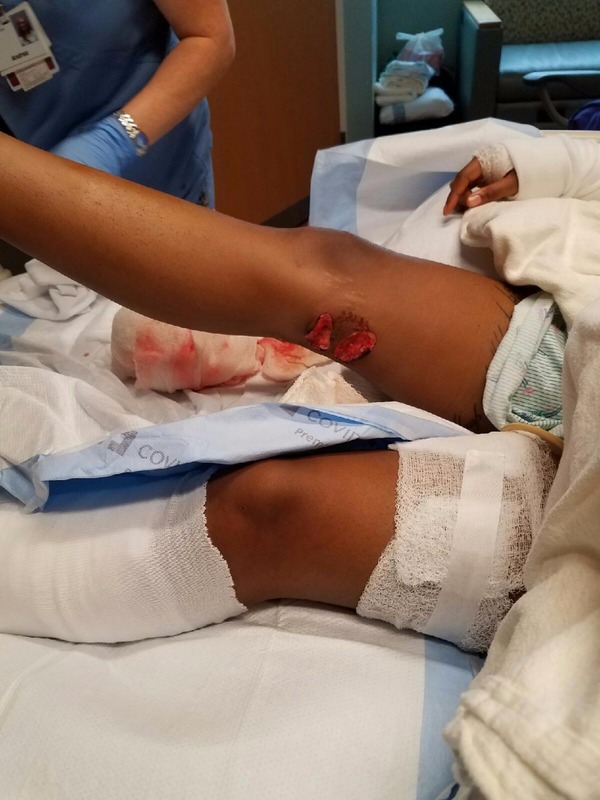 Her friend’s mother who came to help was able to beat the dog with a broom long enough to get the baby away and continued beating the dog off of Felicia. A nearby neighbor heard Felicia screaming and called 911. 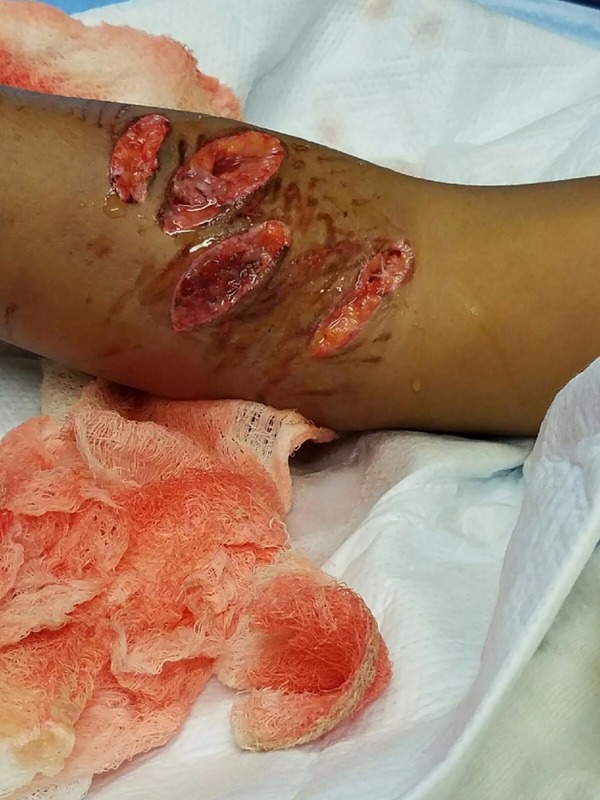 The vicious attack (which Felicia stated it felt like 15-20 minutes) has unfortunately left my niece’s body permanently scarred for the rest of her life. Her path to recovery will be a long and painful one. Before this attack, Felicia was seeking a job at Tacoma General Hospital (TG) so that she could start helping her mother Robbyn Young pay for her educational student loans. Felicia never imagined that instead of finding a job at TG she would be spending time as a patient there instead. 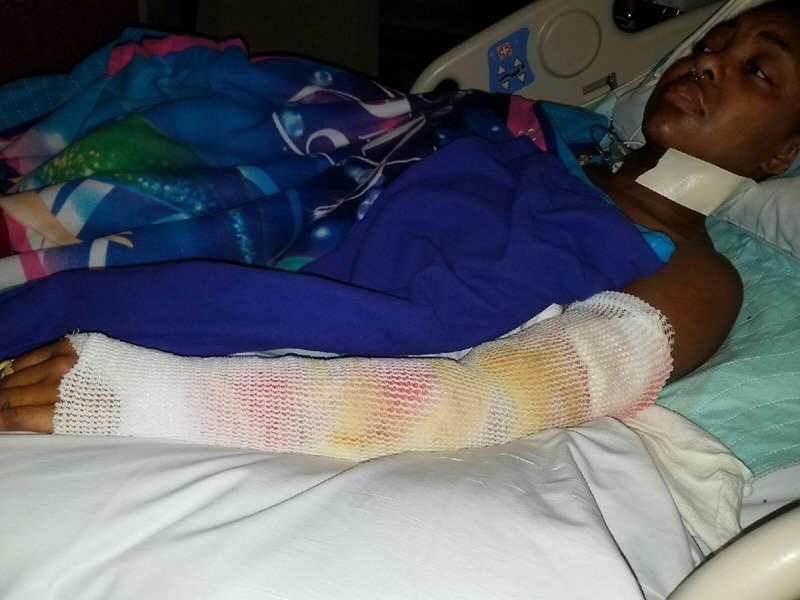 Now she will be facing a much long unexpected road to recovery which will include several surgeries, skin graphs, muscle/tendon repair, plastic surgery, and months of mental & physical therapy. Unfortunately, the most painful memory of all will be the constant reminder of seeing the 30-40 bites and gouges that cover her body which are now considered her battle scars. My niece, who is blessed to have survived, is my little brave hero who will need her family & friend’s to surround her with love and support. Together we all can change this bad situation that happened to a sweet caring and helpful person into a positive outcome. On behalf of the love that I have for my nieces (her strong supportive mother: Robbyn Young & my great niece - Felicia Hambrick), I ask those who are able to please find it in your heart to donate to this much needed GoFundMe account. No donation is too small, AND all of the donations will go towards the cost of Felicia’s surgeries, post therapy and entire medical expenses. Any remaining funds will be applied to her educational loans. Thank you in advance for your prayers, donations, love and support! This poor woman! Very well written explanation of what happened. It is terrifying to read about these devil dogs. Why ANYONE would want to risk their health around these animals is beyond me.